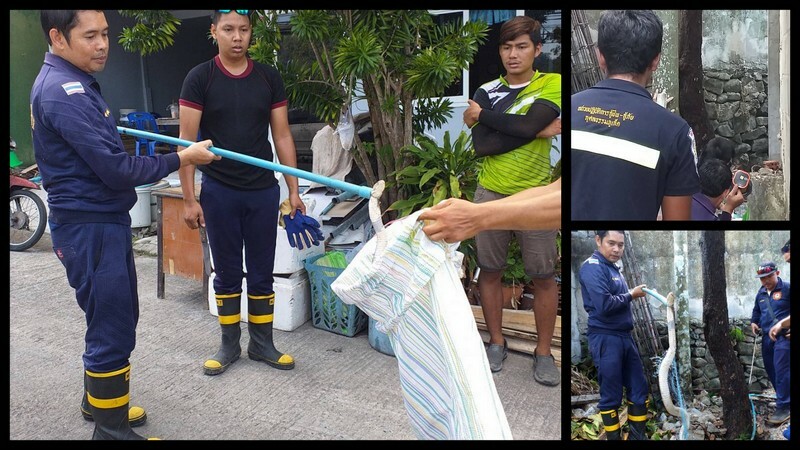 PHUKET: Patong firefighters are concerned that a male king cobra remains at large in a residential area at the northern end of the busy tourism town after catching a female king cobra in Kalim this morning (Apr 18). 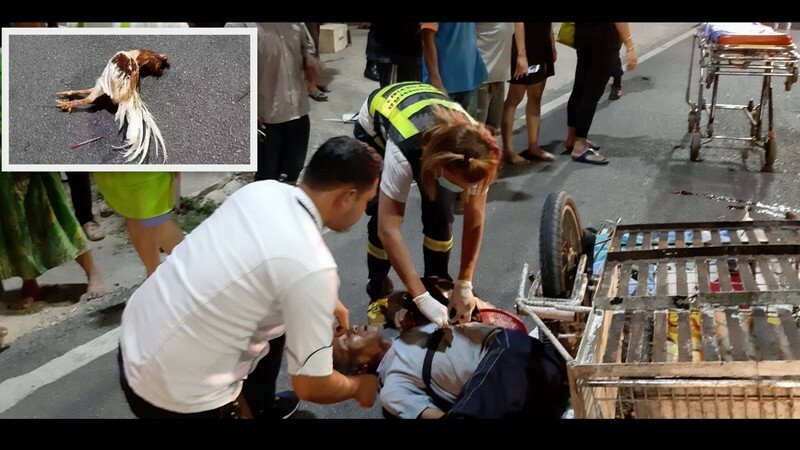 PHUKET: Three people were injured, two seriously, after a motorbike with a sidecar drove into the oncoming lane and collided head-on with another motorbike in Chalong on Wednesday evening (Apr 10). 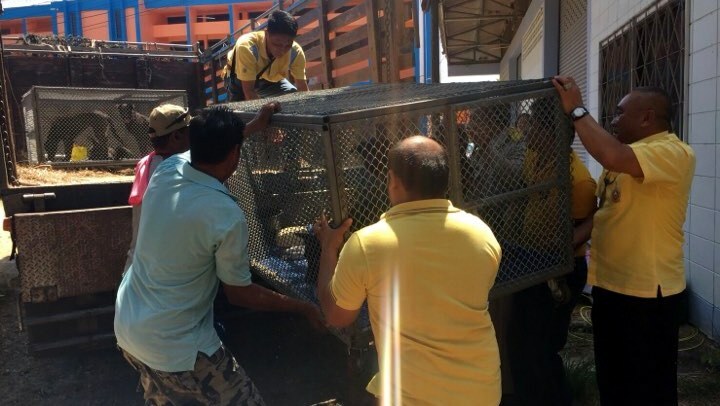 PHUKET: Phuket Zoo is been ordered to not use the baby elephant Dodo to perform work, namely performing tricks for tourists, until his health has recovered. 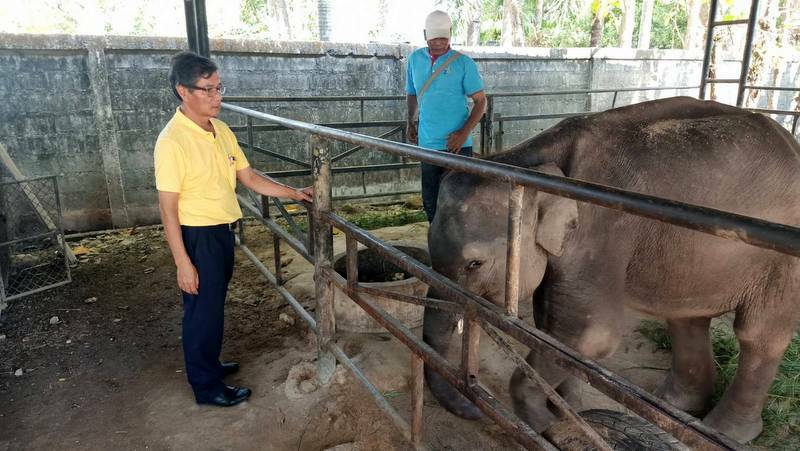 PHUKET: The Acting Chief of the Phuket Provincial Livestock Office has acted on a complaint sent to The Phuket News by a reader about a very young elephant being used to make money from tourists at the side of the road that leads to Big Buddha. 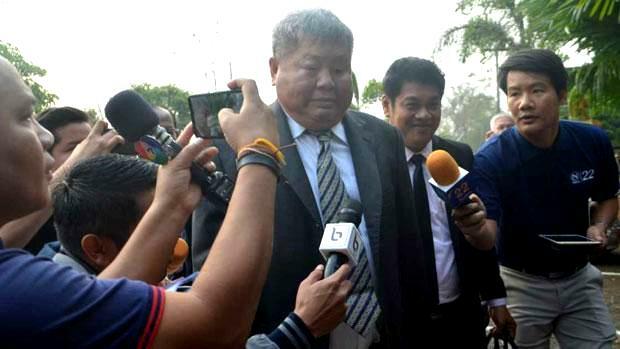 KANCHANABURI: Construction billionaire Premchai Karnasuta was sentenced to 16 months in jail for illegal possession of a dead pheasant and weapons, and supporting poaching – but he was acquitted of any wrongdoing connected with a black leopard carcass found at the scene, which was blamed on other defendants. 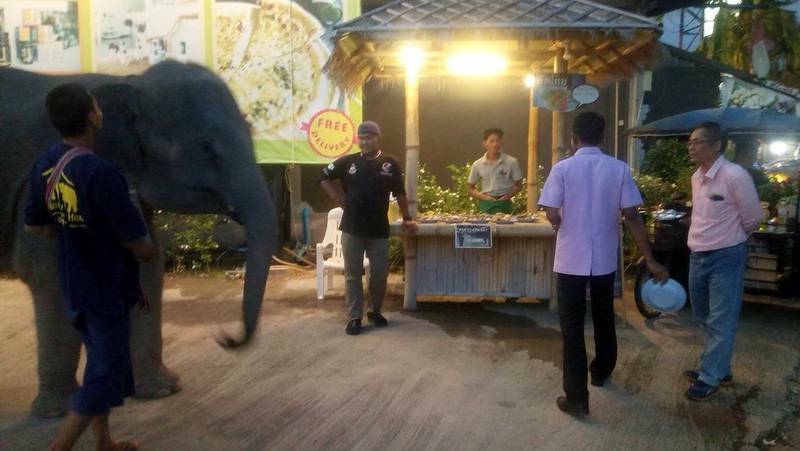 PHUKET: Two baby elephants seen outside a shopping plaza in Mai Khao, at the northern end of the island, are in good care, but their legal status has yet to be confirmed, the Phuket livestock chief has told The Phuket News. 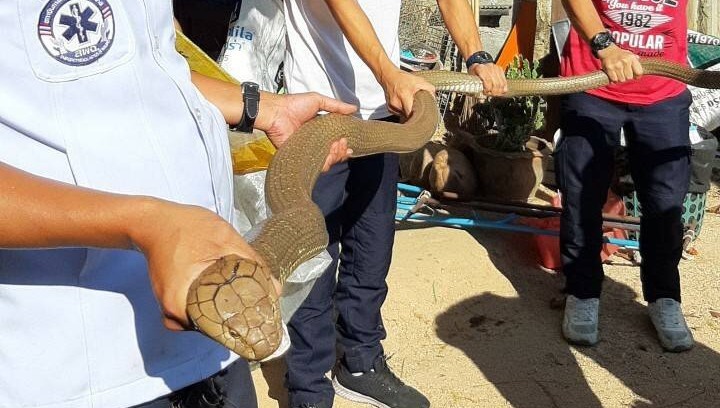 Phuket: Two huge king cobras were caught on Thursday (Mar 7) at a construction workers’ camp in Kathu where another king cobra was caught only four days prior. 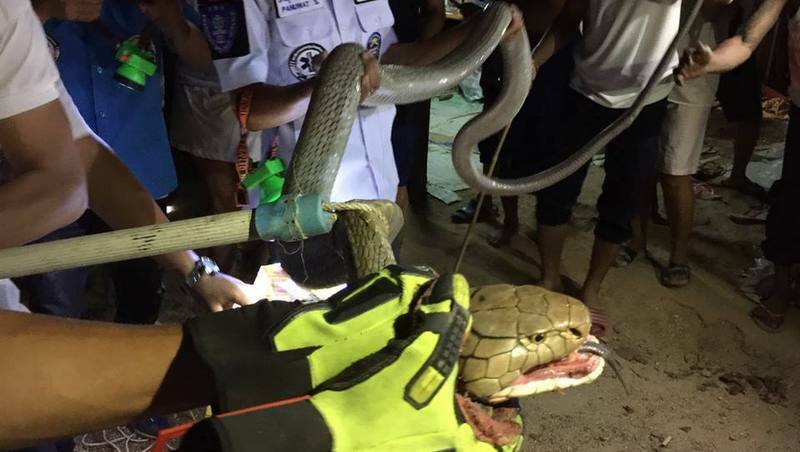 PHUKET: Two king cobras were spotted at a construction workers’ camp in Kathu and only one was caught after a two-hour effort by rescue workers on Saturday (Mar 2). 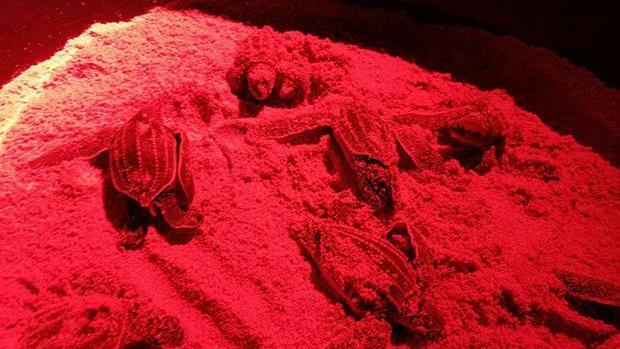 PHANG NGA: Forty rare leatherback turtles emerged from their shells and headed out to the Andaman Sea off Phang Nga on Saturday (Mar 2) under the protective gaze of marine officials. 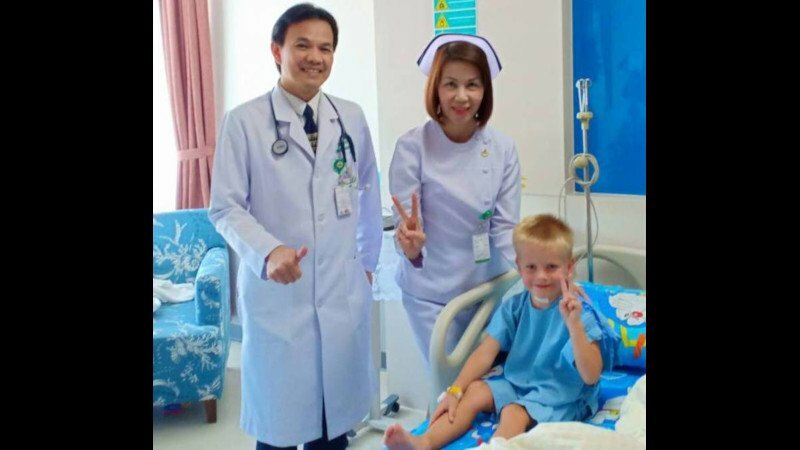 PHUKET: Five-year-old Finnish boy Eemi Nikula, mauled by stray dogs at Ao Nang Beach in Krabi last Wednesday, was finally cleared by doctors to fly home yesterday. His family wasted no time. They boarded a flight that departed Suvarnabhumi Airport in Bangkok at 1:20am today (Feb 28). 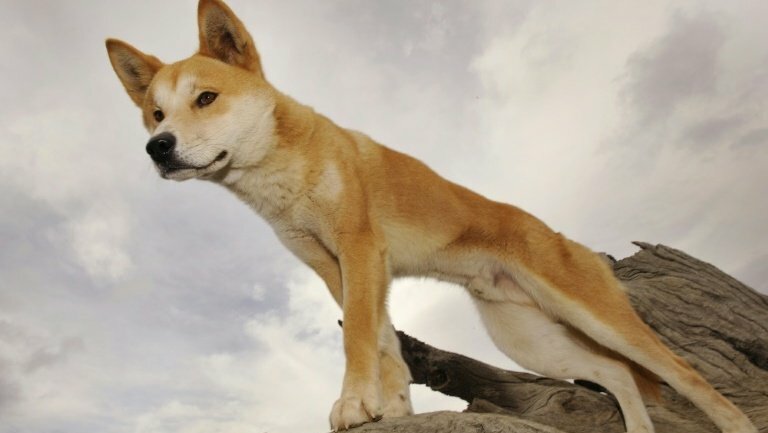 PHUKET: The last remaining stray dogs at Ao Nang Beach, Krabi, will be caught and removed from the area, and the campaign to remove all stray dogs from tourist areas will be expanded, the national Director-General of the Department of Livestock Development (DLD) has announced. 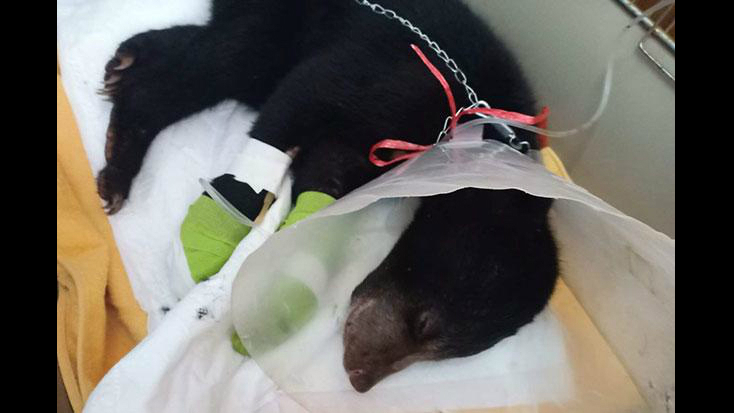 RANONG: A two-month-old sun bear with critical injuries from being ensnared in a hunter’s trap in a deep forest in Ranong province has now fully recovered and will be returned to the wild soon. 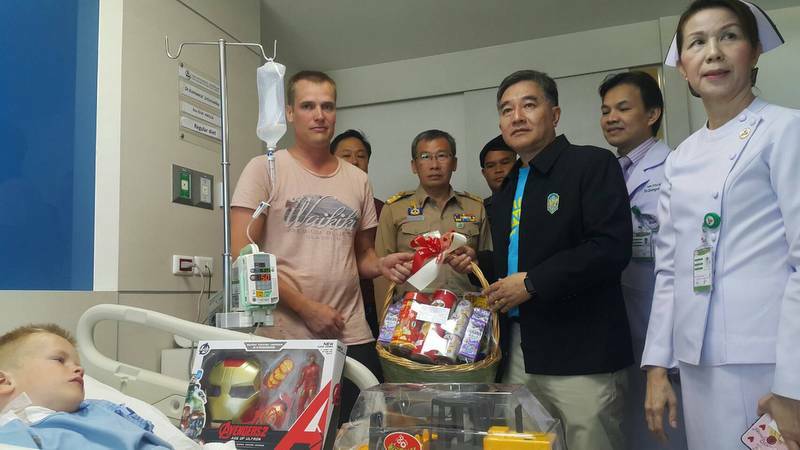 KRABI: The King of Thailand has sent a bouquet of flowers and a gift basket to the 5-year-old Finnish boy Eemi Nikula attacked by a pack of stay dogs in Krabi earlier this week. 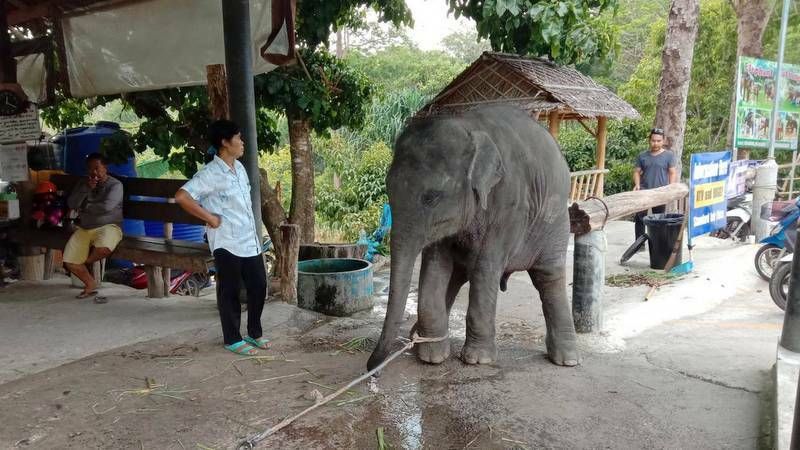 PHANG NGA: The elephant that attacked two Italian tourists during a trek in Phang Nga on Tuesday (Feb 19) has been chained up and left in isolation for a period of one to two months “for assessment”, according to the Phang Nga Department of Livestock Development. 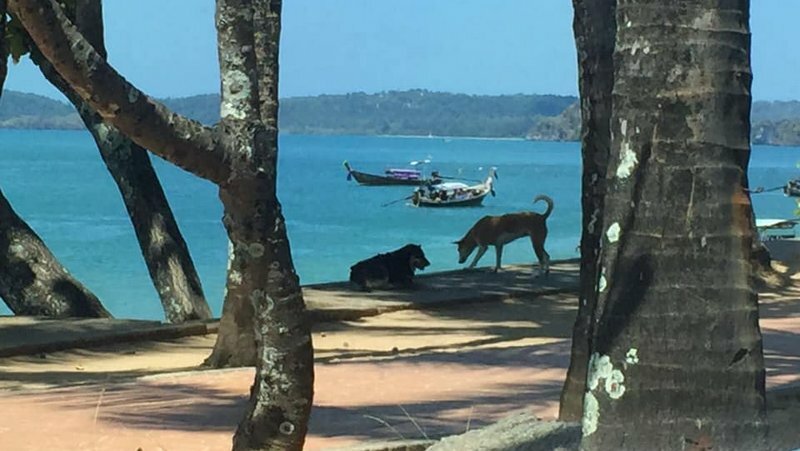 PHUKET: More than 20 dogs have been rounded up at Ao Nang Beach in Krabi following the attack on a 5-year-old Finnish boy on Wednesday. 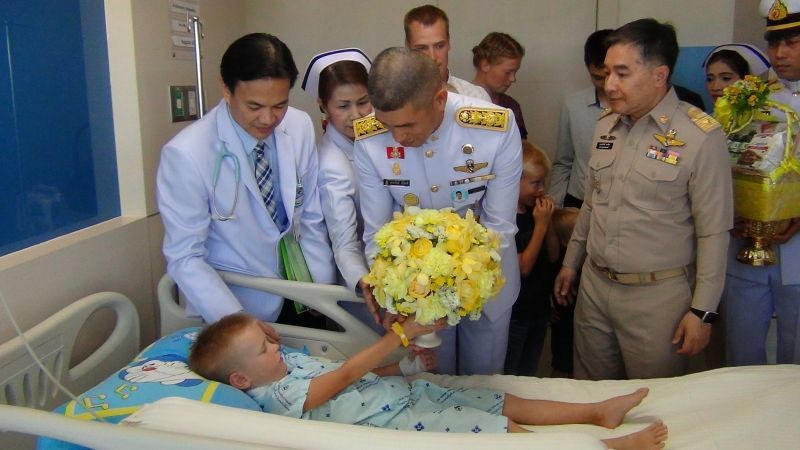 Prime Minister Prayut Chan-o-cha broke his schedule to visit the boy, Eemi Nikula, in hospital yesterday evening (Feb 21). 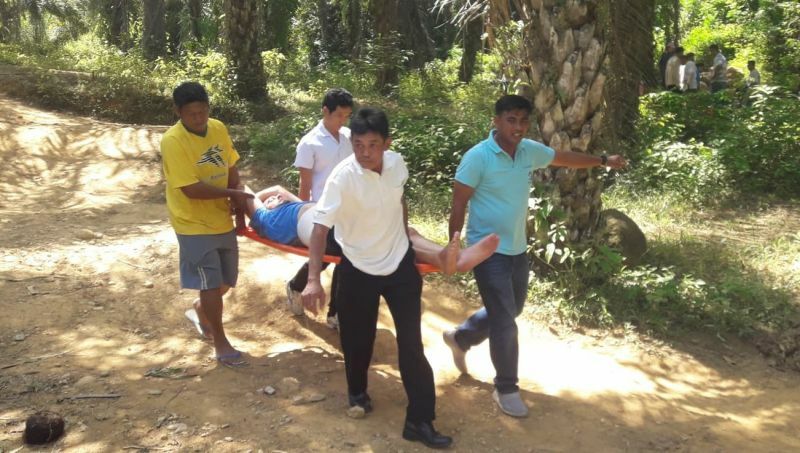 PHUKET: A 5-year-old Finnish boy is in hospital after being attacked by a pack of stay dogs at Ao Nang Beach in Krabi yesterday (Feb 20). 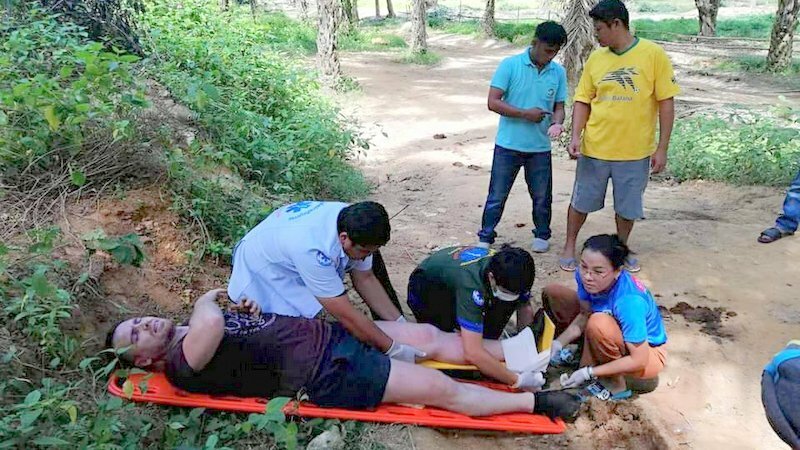 PHUKET: An Italian tourist was gored after he and his friend were thrown to the ground during an attack by an elephant they were riding during a jungle trek in Phang Nga yesterday (Feb 19). 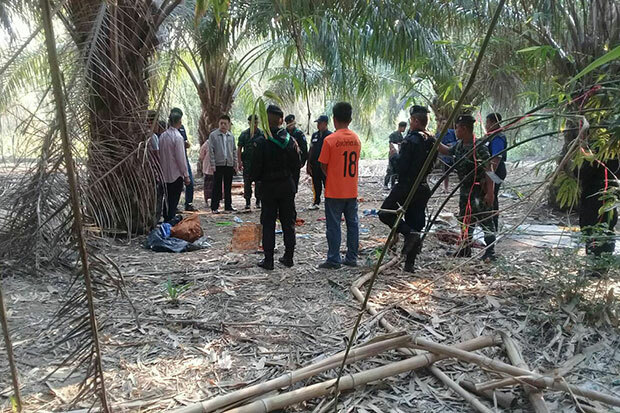 CHACHOENGSAO: A Monk on the last night of a 19-day seclusion was killed by wild elephants near Khao Ang Ruenai Wildlife Sanctuary in Tha Takiab district.